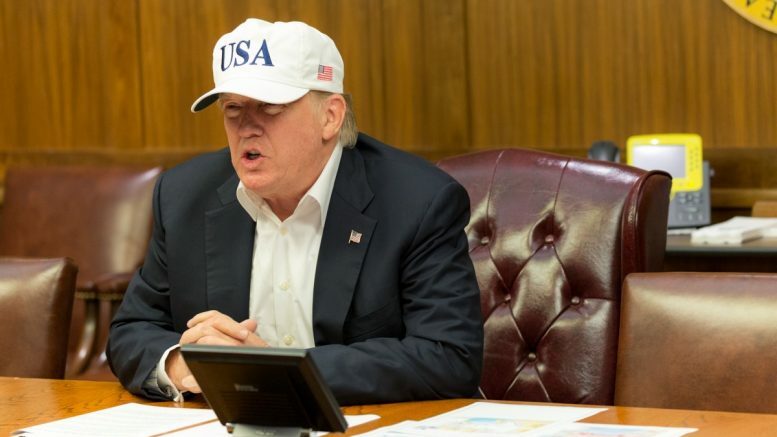 If one takes a look at the National Security Strategy set out by the Trump administration, you will find a subtlety that demonstrates a regional shift towards India. Moreover, Indian actions in the region also signal a marked security shift that would permit a friendlier partnership with the Trump administration. This is a dangerous road for the Trump administration and a road that needs a far reaching vision, rather than just a short one. India may well improve their own relationship with Russia and Afghanistan at the cost of Pakistan, but even the Haqqani Network has something to gain from recent developments and a Western fixation on ISIS chapters abroad. The Trump administration has already made good on its statement regarding Pakistan in its National Security Strategy. That they “…seek a Pakistan that is not engaged in destabilizing behavior and a stable and self-reliant Afghanistan.” The US recently cut over USD 900 million in security assistance to Pakistan. This is broken up between USD 225 million slated for training and equipment under the Foreign Military Financing Fund and USD 700 million under the Coalition Support Fund. The US is concerned with the supposed continuous Pakistani support of the Haqqani Network in Afghanistan, but also openly permitting to the continuation of financing of Jaish-e-Mohammed (JeM) and Lashkar-e-Taiba (LeT). LeT is the terrorist organization that carried out the Mumbai attacks in 2008. Since the cutting of aid, Pakistan has banned Jamaat-ud-Dawa (the charity front for LeT) in a move to shore up some US good will, even though its leader Hafiz Saeed was released from house arrest in November. Saeed continues to have a USD 10 million bounty on his name from the US government. Nevertheless, the cutting of US aid to the Pakistani government is something that the US ambassador discussed with the Indian government only a few days ago. The Indian government has seen this is an opportunity to expand its influence on the US. The Trump administration stated that it wants to improve the capabilities of the Afghan Security Forces through additional training and equipment. A road undertaken by so many so far. India stated that it will undertake a surprising move at the very end of December. 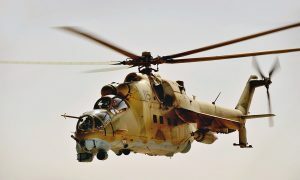 That it will seek to bolster the Afghan Air Force (AAF). A move stated briefly before President Trump announced its administration’s condemnation of the Pakistani government on Twitter. India is seeking several Soviet-era Mi-35 multi-role attack helicopters for delivery to the AAF. These helicopters are to replace the four Mi-35s helicopters that they provided in 2016, which are grounded for extensive repairs. These aircraft will be a crucial addition to the AAF as they are relying on light utility helicopters from the US. This comes at a point where the AAF increased its air raids on insurgents hideouts – in fact 1,900 within the last nine months or roughly 7 raids a day. The AAF wishes to increase their air raids in 2018. Unfortunately, the AAF is relying on MD-530 scout helicopters (photo featured on the right). These are light utility helicopters with only two .50-calibre machine guns with a bare minimum troop-carrying capacity. Some of these helicopters are equipped with small rocket launchers. This is an old story though, but one worth visiting. In 2015, the NY Times quoted Afghan Colonel Qalandari that the MD-530 can not even operate in the areas that are required. “In summertime, its maximum altitude with a full load of fuel and ammunition is only 7,000 to 8,000 feet, he said — meaning it cannot cross most of the mountain ranges that encircle Kabul, which is itself at an elevation of about 6,000 feet.” Qalandari went on to tell the NY Times that: “It’s unsafe to fly, the engine is too weak, the tail rotor is defective and it’s not armored. If we go down after the enemy we’re going to have enemy return fire, which we can’t survive. If we go up higher, we can’t visually target the enemy…[and that]…even the guns are no good.” In 2016, UPI reported that Afghanistan received the final four of 27 MD-530 Cayuse Warrior helicopters which were equipped with 2.75-inch rocket capabilities and some being modified to be equipped with the same rocket capability. The US Department of Defence announced in September 2017 that 150 of these aircraft will be delivered to Afghanistan by 2022. This would further improve relations between Afghanistan, India and Russia. Russia would have to provide the supply chain of parts, and ammunition of these helicopters. Training for the servicing for, and the servicing of, these helicopters will have to be improved for great efficiency of the AAF. 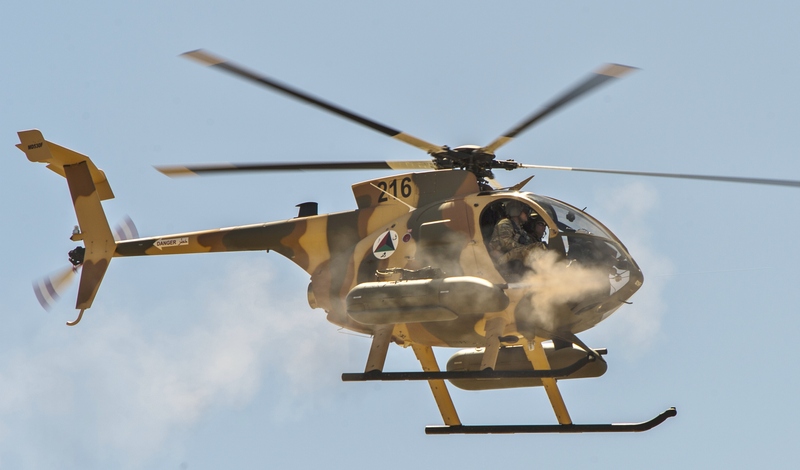 An improve supply line and maintenance training for Afghan ground crews will mean that these heavily armed and armoured helicopters will be operational longer. It is definitely one deal that will open doors between Afghanistan, India and Russia. It is also a deal that may lead to further Mi-35 helicopter transfers that would over-shadow the US MD-530 deal and slowly degrade US influence as a meaningful partner as the Afghan Security Forces stand up. It was President George W. Bush that stated that “we will stand down as they stand up”, although it pertained to Iraqi forces – the same is truthful for the Afghans. The Trump administration’s National Security Strategy also had a short-sighted view on China by portraying it as a potential enemy to the US. Unfortunately, if the Trump administration wishes to follow the short-sighted security policy pertaining to a burgeoning China, then the Trump administration will find that India is more than willing to accept arms, economic and diplomatic support to become a regional power. But Indian ambitions are not to contain China’s regional power as the US wishes, but to become a greater player on the world stage. The Indian government may try to convince the Trump administration that this support would counter a rising China, but it would merely assist the rise of India and their own ambitions. If anything, it is the following excerpt from the Trump administration’s National Security Strategy that opens this policy window for India. This opening will allow India to further gain from a close relationship with the United States. A relationship that has allowed India to build a nuclear-powered navy through the US-Indian Civilian Nuclear Deal. A relationship that is granting India to become a great international power. It will also bring Pakistan and china closer together as both countries aim to offer further support to one another. Interestingly enough, India is not the only actor that aims to be a beneficiary of the Trump administration’s new policies. Obviously, Afghan civilians continue to suffer under the violence of insurgents. However, it may not be the ones advertised. Last week, a putative ISIS Khorasan chapter suicide bombing killed dozens in Kabul. A putative Khorasan chapter bombing, because the Afghan Ministry of Defence stated that many of the big attacks are actually being conducted by the Haqqani Network and that the Haqqani Network has been the one advertising that the Khorasan chapter has been the one perpetrating the attacks. This would be an clever tactic as the Haqqani Network has close ties with the Pakistani Taliban (TTP) in the past. It would also remove much of the US pressure from the Haqqani Network and shovel it onto the still infantile Khorasan group. It is has been estimated that the Khorasan group is comprised of mostly former members of the TTP after the TTP spokesman was removed from his post after proclaiming that the group pledged its allegiance to the ISIS caliphate – an announcement that was not approved by the TTP leadership. Any attack would bolster the Haqqani Network’s reputation within its own organization, but Khorasan group casualties would gain further accolades with the TTP and possibly additional resources and cross-border movements. Any degradation of the Khorasan group will shore up of the relations with not only the TTP, but also the Afghan Taliban. The Afghan Taliban is expanding in the country, but by the Haqqani Network providing the Khorasan group distraction – they may very well be improving their relationship with the Taliban. The Haqqni Network has been a wily group that survived not only the Soviet invasion of Afghanistan, but also the Taliban expansion, the US invasion of Afghanistan and the subsequent chaos. The situation in Afghanistan continues to be a very intricate one as every actor involved wants to carry out their own agenda. Compromises may need to be made, but the United States cannot go full throttle on a policy without even considering how all of the other actors may alter their course. It may seem that India wants the best for Afghanistan, but it does so to injure Pakistan and to bolster their own great power status that the US may not fully appreciate as of yet. Insurgent groups, such as the Haqqani Network, may be playing a more insidious game by bolstering the Khorasan group’s supposed successes in order to shift counter-terrorism operations away from themselves in order to curry favour with other groups and to reorganize. It is a difficult wire to cross, and we can only hope that the Trump administration can do so gracefully – but more probably we will have continuing chaos in the Afghanistan and the region.